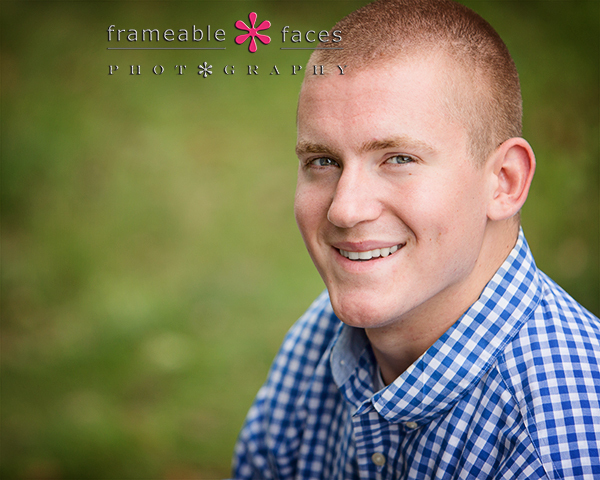 A Super Senior Session Encore With Super Mario! 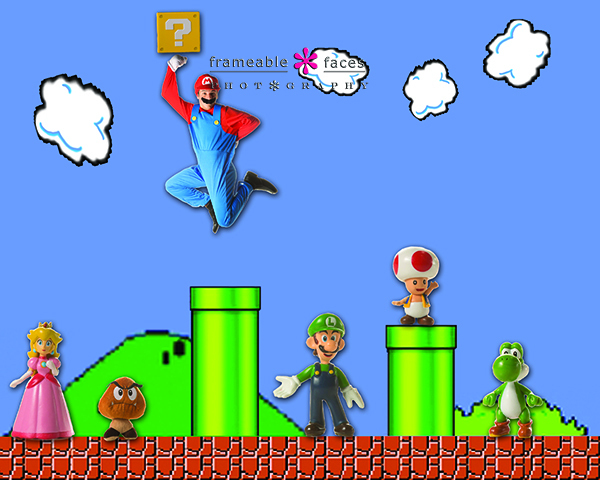 Everyone loves Super Mario. No really – like everyone loves this kid. He’s the real deal – personable, hilarious, thoughtful, smart and good looking. 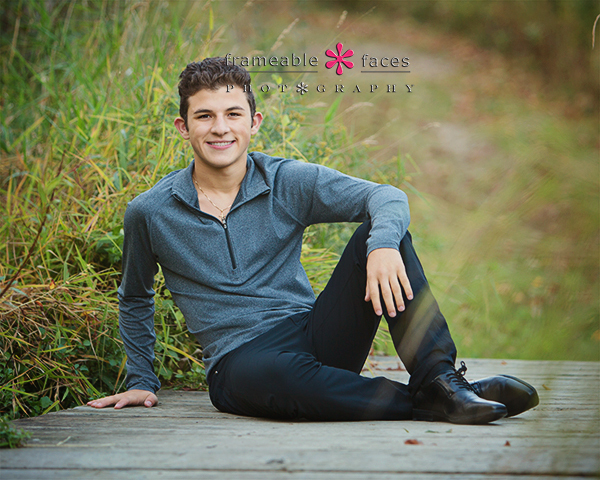 He is one of our spokesmodels for the class of 2016 and we’ve really enjoyed getting to know him over the past year and in fact through Mario we’ve met several siblings and his parents, sampled some of his mom’s cooking – heck, we feel like part of the family! 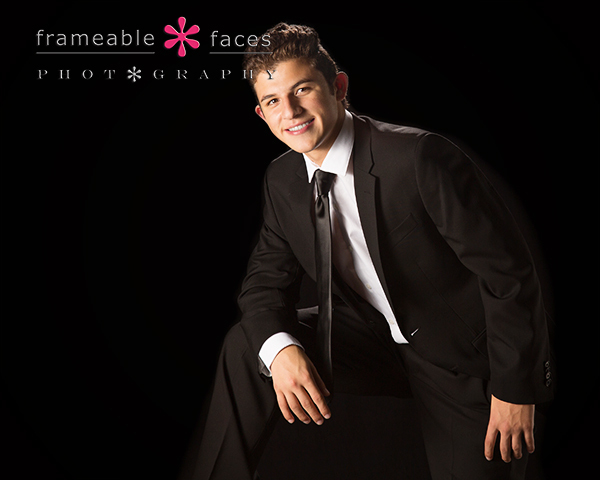 Well we feel like Mario is part of our family too and we were looking forward to an encore from his spokesmodel session for his senior portraits. 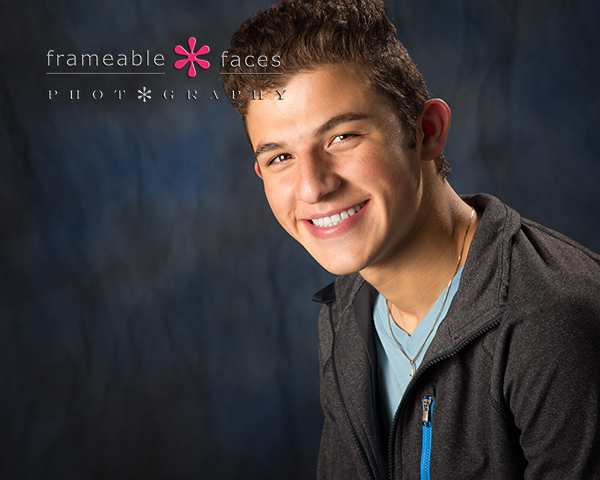 You will see from the behind the scenes footage (especially the Periscope broadcast from the studio) that we laughed a ton and spent some time creating a special….shall we say, “non traditional” senior portrait to go with the more traditional stuff. We’ll save that treat for the end of this post. Feel free to scroll down if you can’t wait, but for starters we’ll focus on the “normal” photos. 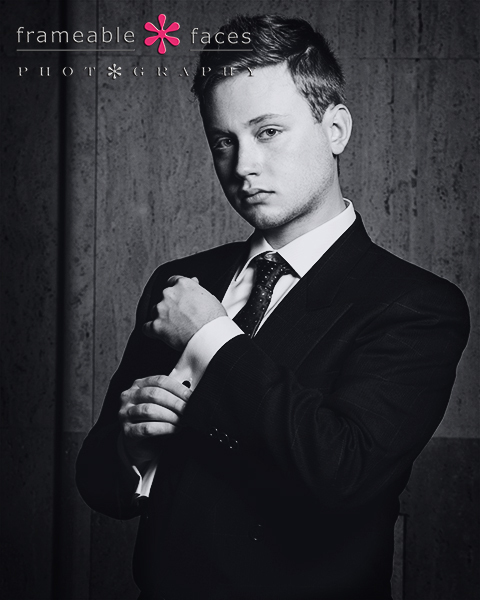 Next let’s get into a formal look of the black suit, black tie, black background – love the black on black in the studio! Mario’s faith is a big part of who he is and that shot says it all. Yes that’s actually Mario – not just his face, and yes the characters were actually photographed by Ally too… Hilarious right? So there you have it! 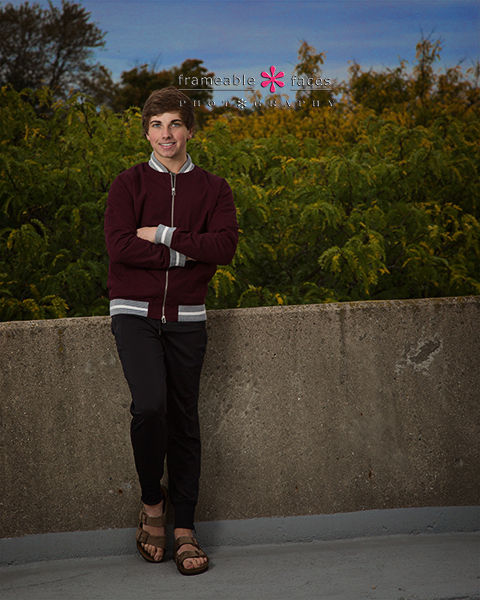 We hope you enjoyed these highlights from Mario’s Super Senior Session! 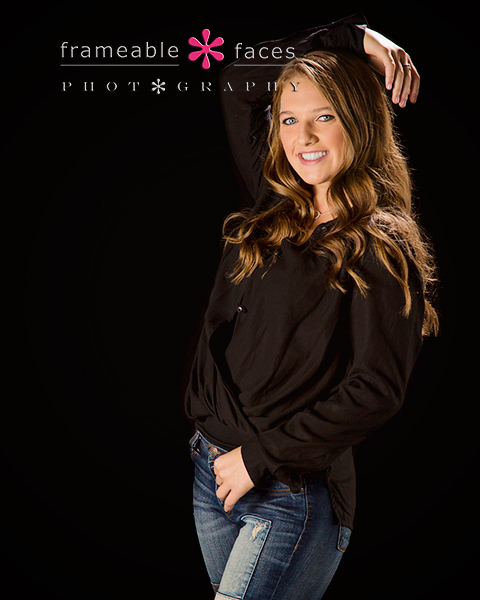 A Sensational Senior Session With Samantha! 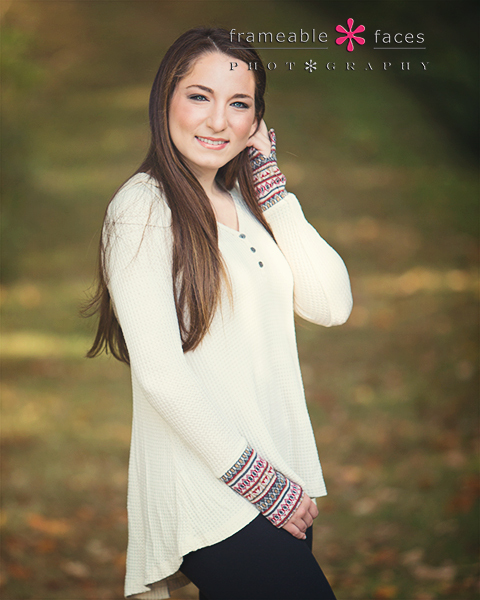 We enjoyed a sensational senior session with Samantha recently on a perfect day here in West Bloomfield! Samantha is a delightful and soft spoken girl but she’s got a great little sarcastic streak too which we enjoyed a lot! 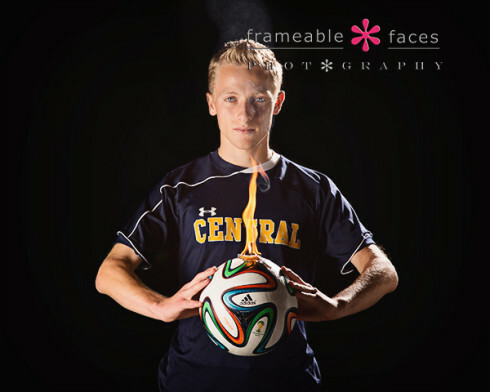 We had a great game plan for some studio photos and some on location which is a very common approach for us with our seniors. Beautiful right? Let’s take a second here to give a shout out to Shifra Raskin for the makeup. We recommend many of our seniors to Shifra and she always does a fantastic job – she is right down the hall from our studio which is very convenient for our seniors and other clients too! Now we have the replay of the live Periscope broadcasts we did during our session from our YouTube channel. You can download the app and follow us there (and just about everywhere else) at @frameablefaces at this link. And now in color and on fire as you saw in the vine!!! 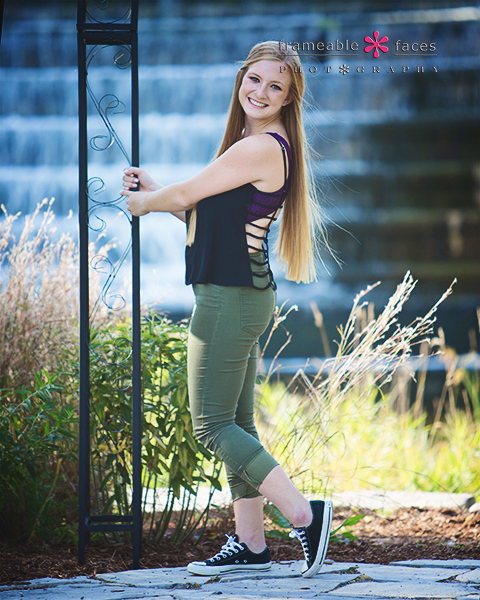 So there you go – a super sensational senior session with Samantha!!! We hope you enjoyed the highlights of our morning with her! 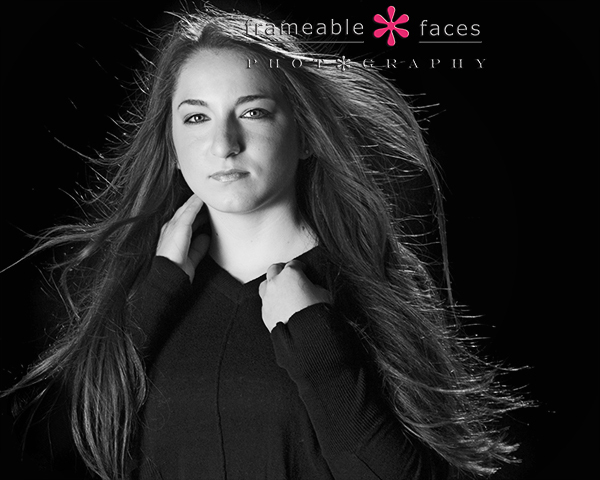 Amanda Astounded Us On Her Senior Session! 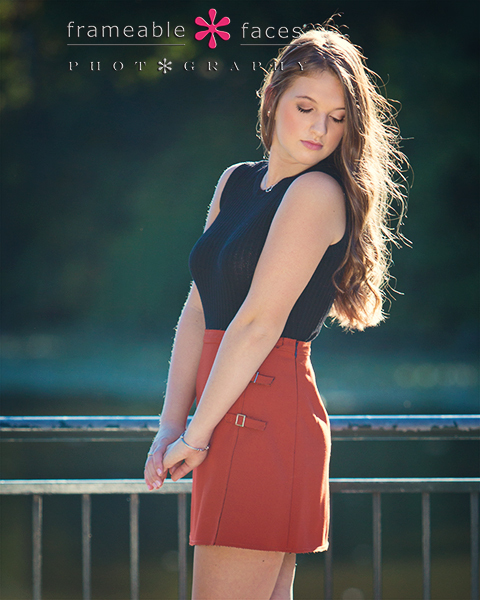 Amanda astounded us on her senior session, and to be clear this isn’t because we didn’t expect it to be a great session. On the contrary we knew she would be great – and she delivered! We spent the day with Amanda and her mom Lori who guest hosted part of the Periscope broadcast as you will see below and it turned out to be a perfect day overall! This session was almost exclusively on location in Birmingham so that’s where we will focus for these highlights. 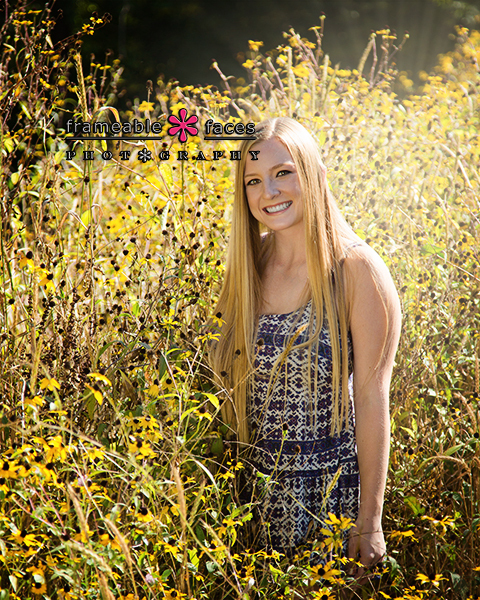 We started out on the south side of the Quarton Lake Park on the other side of Maple Road where we were able to get the last of the black-eyed susans – just a beautiful shot of Amanda surrounded by all that bright yellow! Next you can watch the extended replays of the live Periscope broadcasts we did during the session with Amanda’s mom Lori guest hosting for part of it! You can download the app and follow us here! Now let’s get back to a few more of the photos! Astounding! Yes – this was an astounding session alright and we hope you enjoyed these highlights from our day with Amanda and Lori! 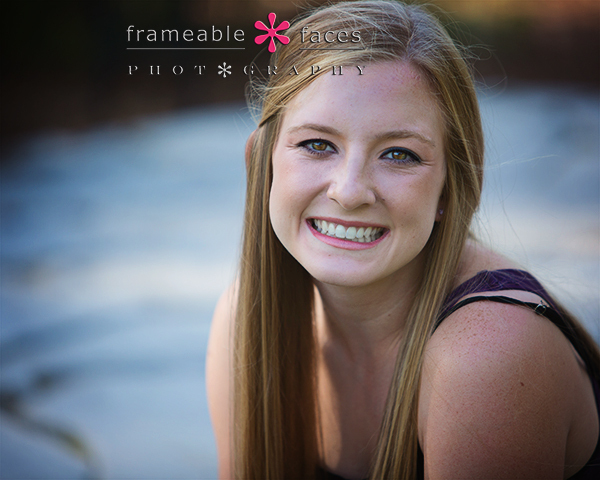 Lizzie In Da Hizzie For A Fantastic Senior Session! 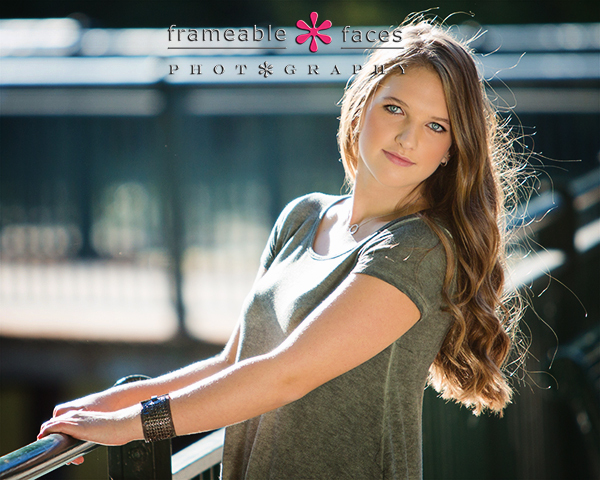 Yasssss Lizzie was in da hizzie for a fantastic senior session!!! You gotta be down with the lingo to understand that but basically it means she was here – but in a much more interesting way. And why not? She’s a fun and anything-but-ordinary girl! She’s cool – sharp, personable and beautiful and we really enjoyed being with her and her mom Rimma! 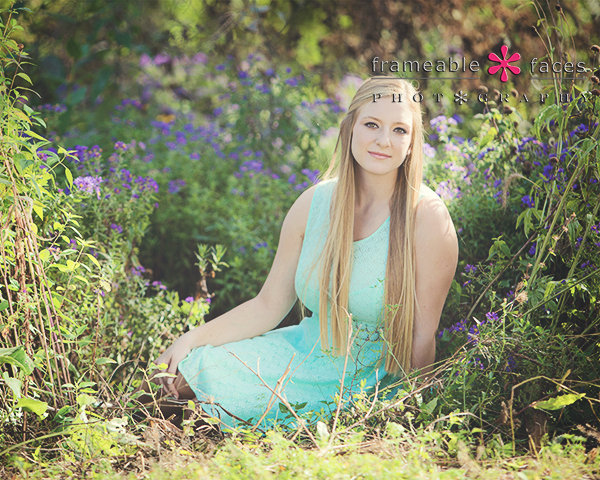 One by one Lizzie and the rest of her crew have come here for senior portraits and we have loved each one them! 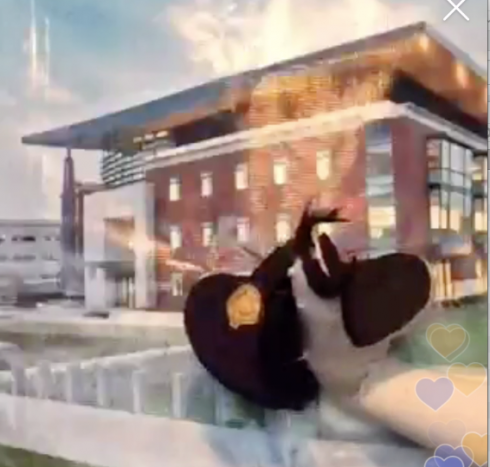 Next let’s take a look at the live replay of the Periscope broadcast from the studio! You can download the app and follow us there at this link. Such a pretty shot and love the backlight on her hair…..!!! And there you have it! Lizzie in the hizzie and owning her session like a pro! We hope you enjoyed the highlights of our day with her even a fraction of how much we enjoyed photographing her! 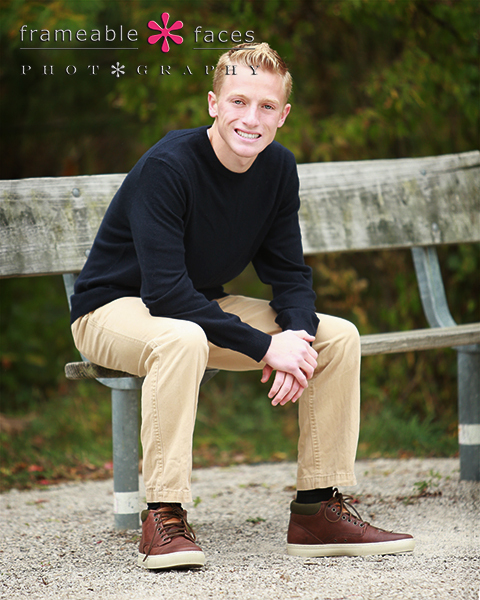 Kickin’ It With Jake And The Fam For Senior Portraits! 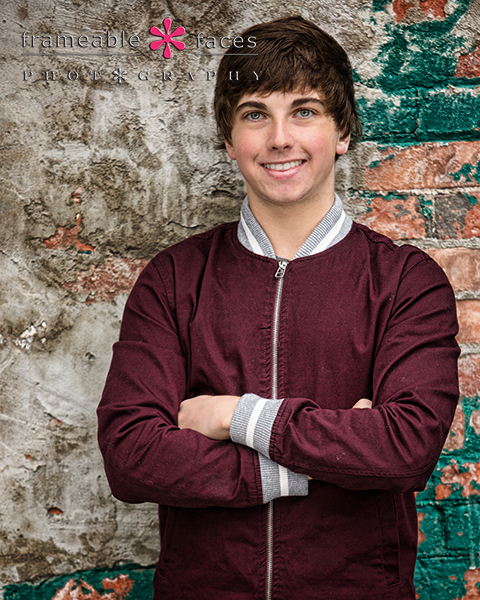 Jake and the fam – as in Jake’s parents and one of his brothers – joined us on two separate days for his senior photos because of rain on the original date that prevented us from going on location. I mentioned this a couple blog posts back with another senior guy that had the same scenario and once again it worked out well because we had so much fun with these guys. Jake’s little brother Zack is quite the character, and his parents are great – Shari is an awesome guest host as you’ll see in the replay of the Periscope broadcasts from the sessions! Blue backdrop, blue tie, blue eyes – it works. 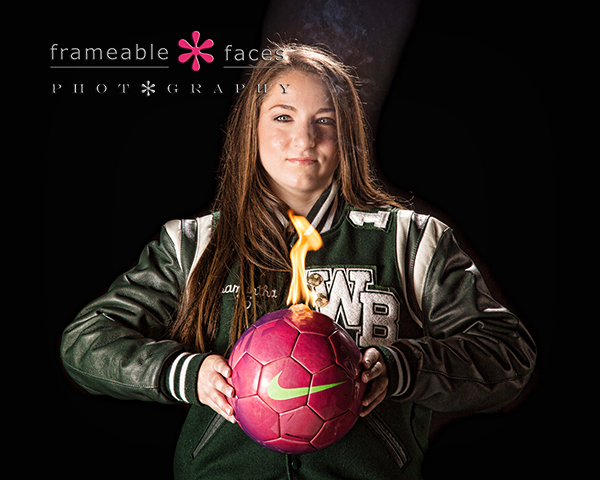 Next let’s heat it up with some fire on the soccer ball which is of course real fire – no fake photoshopping here! Now let’s take a look at our behind the scenes action, starting with our 6 second looping vine with footage from both days – it’s amazing what you can do with 6 seconds! Now for our epic YouTube replays from our Periscope broadcasts partly guest hosted by Jake’s mom Shari (and the occasional scene-stealing by Zack)! We love when our moms guest host! You can download the app and follow us on Periscope at @frameablefaces here. And there you have it! We hope you enjoyed kickin’ it with Jake and the fam and we hope you enjoyed the highlights of his session! 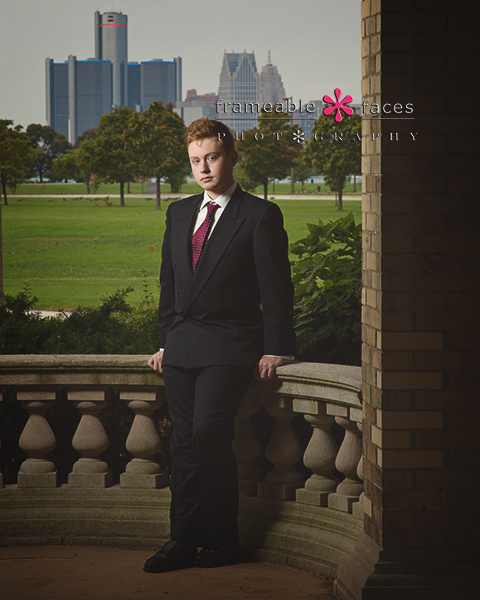 A Senior Session Takeover Of Detroit With Ian! We are loving Detroit. This is the most exciting time for Detroit in our lifetime by a mile. 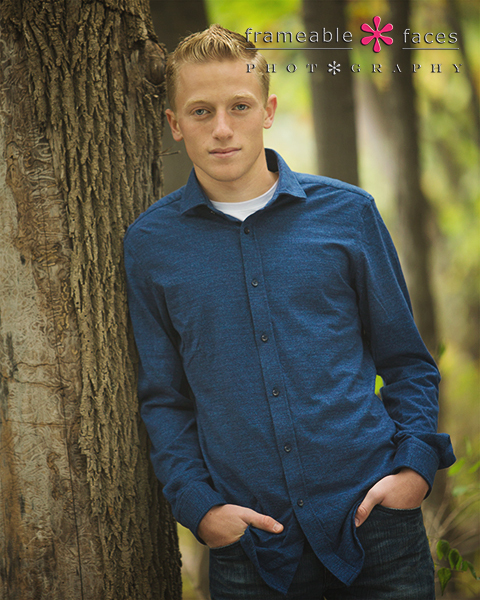 There is so much going on down there and it’s no accident that we have now done two senior sessions in “The D” this year. The first one was at the Dequindre Cut, and the second one we present to you here. 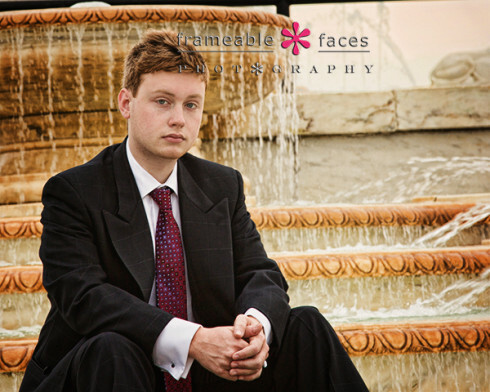 Ian came to us with very specific ideas about the type of shoot he wanted. He wanted to takeover the city and he wanted certain landmarks and a certain style. These can be the most exciting and rewarding sessions to be sure, because everyone is excited, everyone is planning and preparing and in the end this session was a series of firsts for us. 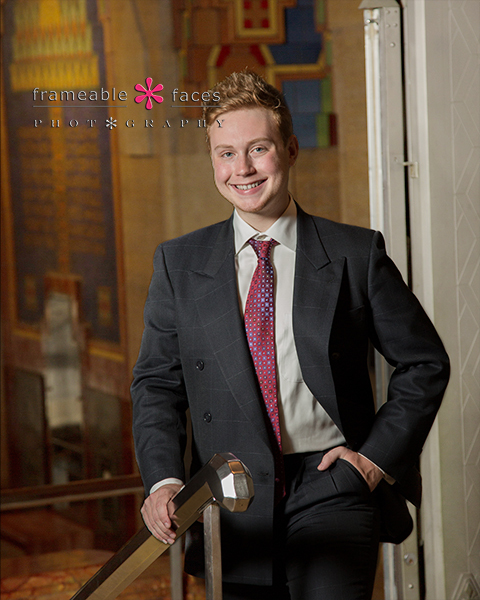 Ian went straight suit and tie – a formal look with Belle Isle and art deco stalwarts The Guardian and Fisher buildings (both built in 1928 three years before the Empire State Building in New York City) as our backdrops. Lots of personality and great taste with this guy! Meanwhile Ian’s mom Susan came with us and she guest hosted some of the Periscope broadcast we did on location which you’ll see below. So let’s get to the photos shall we? We started out at Belle Isle which has improved a ton since it was turned into a state park – very clean and a pleasure for hanging out. This close up of Ian is at the James Scott Memorial Fountain which was completed in 1925 and it really is a wonder. It’s really cool to see it running! Next we were able to capture this cool photo with part of the Detroit skyline in the background! LOVE that one. A fitting end to an amazing day in the D with Ian! We hope you enjoyed the highlights of our day with him! 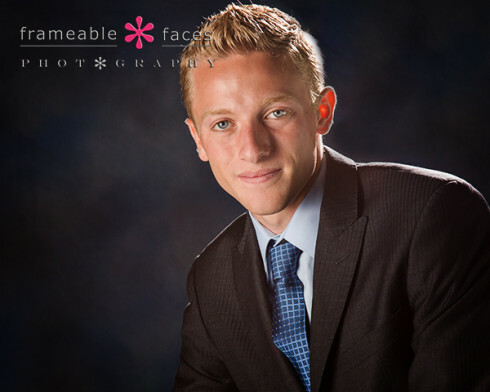 Marc Had A Re”marc”able Senior Portrait Session! 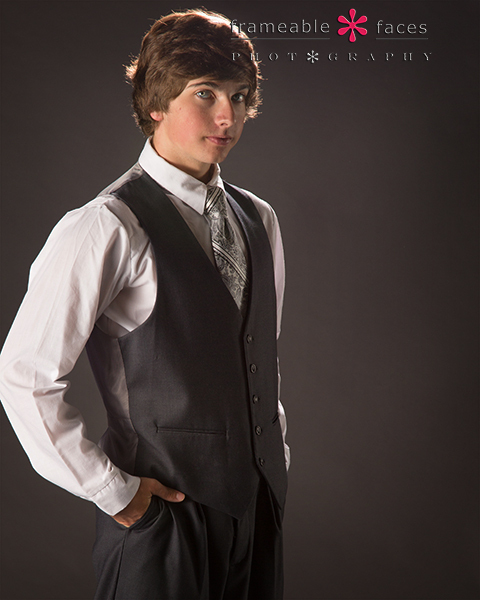 Marc had a re”marc”able senior session that spanned two separate days and gave us plenty to remember. Rainouts can be a double edged sword with senior guys. With girls it’s a drag because you have to watch the forecast and make decisions because girls have to get hair and makeup done. With guys you can split it up and just do the studio stuff on the rainy day, and sure you have to find another day to squeeze in the location shoot, but at least you get to hang out a second time on a different day! More fun! Meanwhile Marc is a really nice kid and we had a lot of fun with his mom! Marc’s girlfriend hung out for the studio part and his mom Cheri was there for both – you can see below if you like, where she guest hosted our Periscope broadcast of the session in Birmingham! Meanwhile let’s get to some photos of “re-marc-able” Marc! Love the grey on grey! Next we have the replay of the extended Periscope live broadcast with Cheri guest hosting for part of it! You can download the app and follow us on Periscope here. So there you have it – quite re”marc”able we must say! We hope you enjoyed the highlights from our day(s) with him! Senior Portraits With The One And Only SOCK COP! 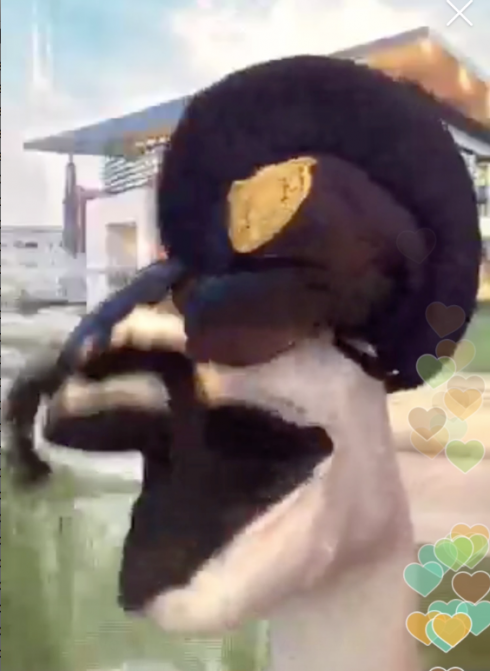 For those of you who are on Periscope you must know about Sock Cop. 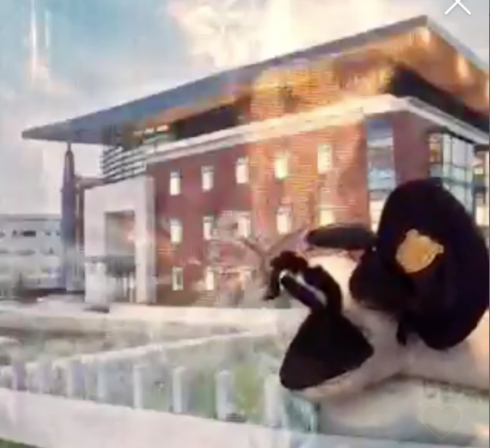 He’s a clean sock, clean cop and he spends his days keeping the streets safe by catching the speedahs…. He shares his life, his knowledge, his wisdom and his impressions of famous people in his daily broadcast and you should download the app and check out his show at @jasonburglar here (which as he’ll tell you “don’t make no sense, it don’t make no sense”). Meanwhile Mama Sock who did a great job raising Sock Cop unfortunately didn’t get a chance to get professional senior photos when he graduated high school so it was time to right that wrong, and in a first for our studio we actually did the session live on a broadcast during Sock Cop’s weekly show on ParachuteTV1 – the first true network on Periscope! 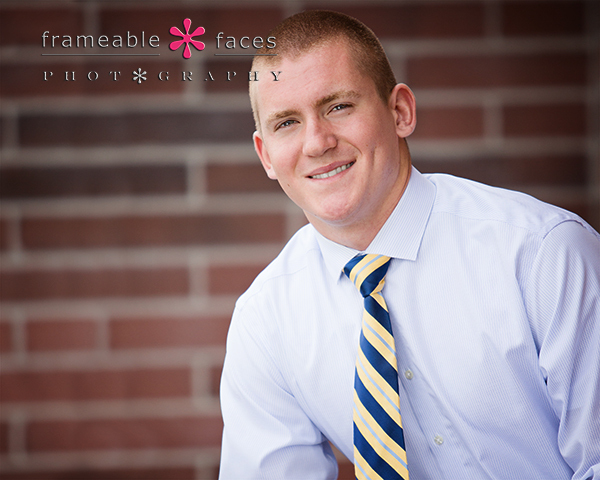 As we normally do we are sharing a few sneak peeks of the session here on the blog with you! We made the decision to leave the hearts in the photo because it really tells the story of where Sock Cop is in his life now – people love Sock Cop and they typically tap the screen giving him a steady flow of hearts – it just shows how much happiness he brings to people. Next let’s take a look at the Periscope broadcast replay of the session itself! You can see there that he was really killing it! As a side note for whatever reason our comments were out of order on the replay, so I left the extra bit in where you can actually see where we were helping direct the shoot. One of the other viewers said “too small”, and that was in response to our suggestion that one of these would look good as a 20×24 canvas. 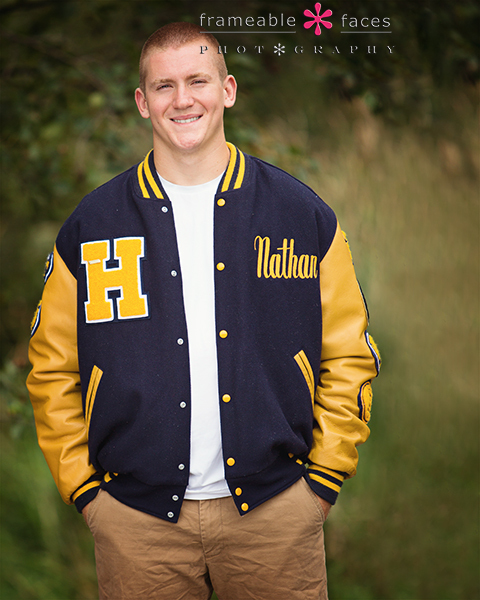 Nathan Served Notice On His Senior Session! 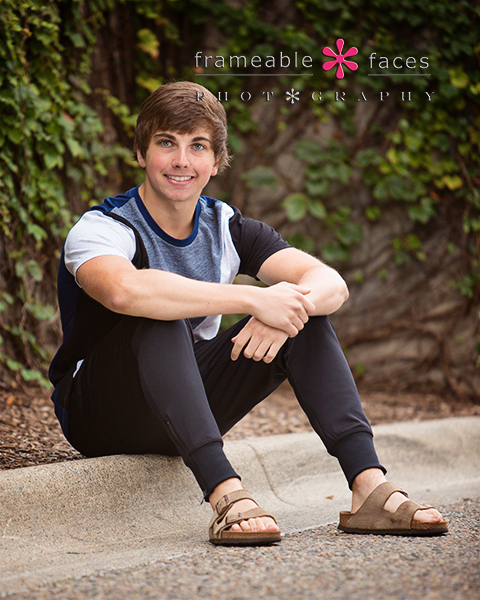 Nathan served notice on his senior session for sure – that he’s arrived, that he’s a good looking dude, and that he’s ready to take on any challenge! 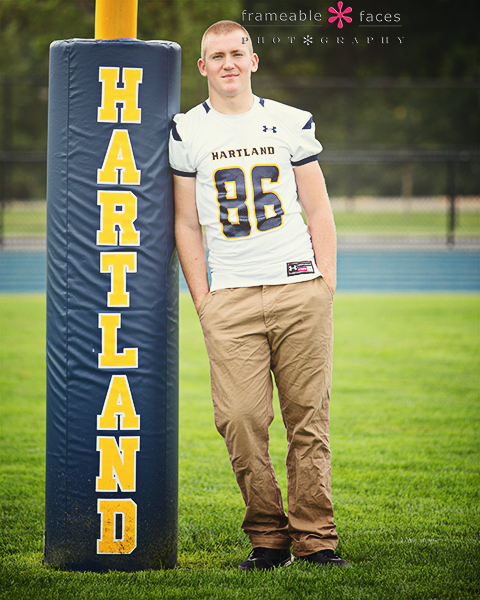 Yet another senior we’ve known since he was born, he’s grown up to be an impressive young guy. Nathan’s dad was an old college teammate of mine, and since Nathan’s younger sister Madeline came with us on the session and not his parents, it gave me some time to tell them plenty of old stories about their dad… hahaha! Next up the extended footage of the Periscope broadcast replay from our YouTube channel! You can download the app and follow us there (and just about everywhere else) at @frameablefaces at this link. And there it is – you can see what we mean when we say Nathan served notice can you not? We hope you enjoyed the highlights of our morning with him!